Gordon McDougall was educated at Latymer Upper School and won a scholarship to King's College, Cambridge where he took a double first in English Honours. He was assistant director to George Devine and Antony Page at the Royal Court Theatre on plays by John Osborne and Charles Wood. He has been Artistic Director of the Traverse Theatre, Edinburgh (1966-68), the Stables Theatre, Manchester (1968-71) and the Oxford Playhouse Company (1974-84). For several years he was a producer/director for Granada Television. 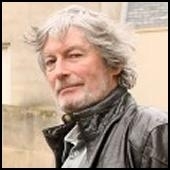 He has directed over 120 plays including the world premieres of two D H Lawrence plays (The Daughter-in-Law and Touch and Go) as well as the first plays of David Storey, Trevor Griffiths and Simon Gray, and specially commissioned adaptations of foreign classics by Adrian Mitchell, Ted Whitehead and Sir Stephen Spender. His British Premiere productions include works by Alfred Jarry, Carlo Goldoni, Ariane Mnouchkine, Lanford Wilson and Bertolt Brecht. In 1980 he was nominated as Best New Musical Director and in 1981 Best Director (for Mephisto) by the London Theatre Critics. He has written two books (The Theatrical Metaphor, which has been accepted as the equivalent of a doctoral thesis, and True Paradise) as well as numerous critical works and dramatic translations and adaptations. He has taught at the Universities of Waterloo (Ontario), Oxford, Alberta and California, where he was Visiting Professor in 1982 and 1983. Also at the Universities of Oklahoma, Pittsburgh and Perugia, Carnegie Mellon University, King Alfred’s College, Winchester and Bath Spa. In 1984 he was appointed Artistic Director of the Citadel Theater in Edmonton, Canada, where he remained for three years. He has directed freelance productions for Prospect Theatre Company, the Globe Playhouse, the Gardner Theatre (Brighton), the Citadel Theater, Oxford Music Theatre, the Three Rivers Shakespeare Festival and City Theater (Pittsburgh) and for the Edinburgh and Baalbeck International Festivals. His productions for Oxford have toured all over the British Isles, from Inverness to Torquay, as well as to South and Central America, and Hong Kong. Many of his productions have been seen in London, in the West End, at the Royal Court, Round House and Arts Theatre. He has worked extensively for the Theatre Managers’ Association and British Actors’ Equity, and was Vice-Chair of the Conference of Drama Schools and a director of the National Council for Drama Training. He has directed numerous productions and courses for the Royal Academy of Dramatic Art. In 1995 he was appointed Principal of the Guildford School of Acting and became Visiting Professor at the University of Surrey. 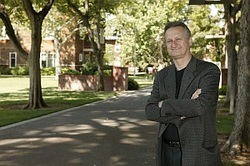 From 2002 he was Chair/Director of Drama and Artistic Director of Theatre at the University of Oklahoma. 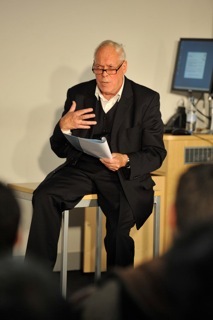 Peter Lichtenfels is a professional theatre director and writes on Shakespeare and contemporary performance. From 1981-1991 he was the Artistic Director of the Traverse Theatre during the Scottish National resurgence in Britain, and the Theatre Director (Artistic and Executive) at the Leicester Haymarket Theatre where he introduced radical international and alternative theatre to the UK. He has championed cross-cultural theatre throughout his career and is committed to interdisciplinary work among theatre, dance, and performance art. From 1991-2003, he combined his professional theatre directing with an academic post at Manchester Metropolitan University, the only university conservatory program in the UK. Major productions from this period included: Still Moon on Fire a music-theatre piece commissioned by the Canada Council (1996), for which the lead singer won a Dora award (analogous to a Tony or an Olivier Award in Canada), and a production of Jean-Paul Sartre’s The Flies at the Stratford Festival of Canada in 2003. He directed Endgame at Shakespeare Santa Cruz (2007). His 2008 production of A Midsummer Night's Dream for the Dramatic Arts Centre in Shanghai won “Best Production” by the Shanghai International Arts Festival. Since arriving at UC Davis in 2003, he has continued to write articles and has just completed a co-written book on Romeo and Juliet:Negotiating Shakespeare’s Language (Ashgate 2008) which is accompanied by a full critical edition on the web. He has also served as Chair of the Department of Theatre and Dance 2005-2008, and has created exchanges with Shakespeare’s Globe London, and the Shanghai Theatre Academy. Noel Witts is a Research Fellow in Scenography at the University of the Arts, London, and Visiting Professor at Leeds Metropolitan University. He is co-author of The Twentieth Century Performance Reader (Routledge) , and has published a study of Tadeusz Kantor for Routledge, (2010), is researching the arts under communism, and is a consultant on performing arts in higher education. He was recently appointed as Emeritus Professor of Performing Arts at Leeds Metropolitan University, and is an Associate Professor at the University of Sibiu, Romania. His research areas involve performance in the former countries of eastern Europe as well as cultural policy in both the UK and the rest of Europe.